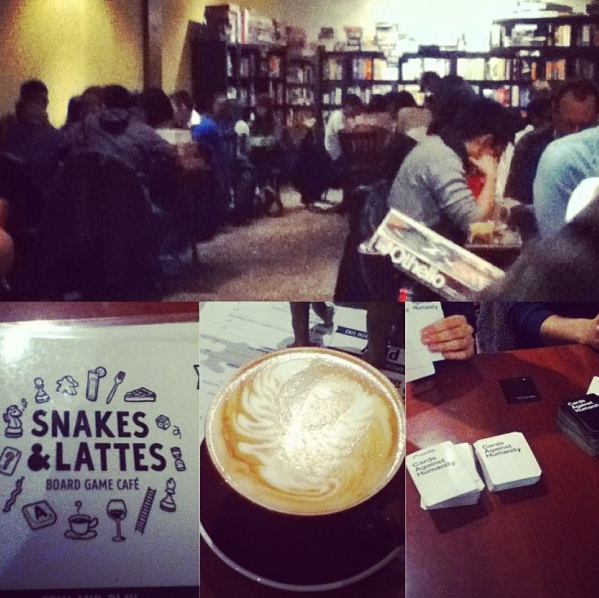 Snakes and Lattes (board game cafe) on Bloor St. West. A five minute walk from Bathurst Station. It’s only $5 for unlimited game play and you can stay for however long you want. They have HUNDREDS of games to choose from and board game experts to teach you and recommend new games! If you go, I recommend playing Cards Against Humanity (funniest card game ever) and ordering the Peppermint Latte (DELICIOUS). It’s a great spot to get away from the cold and have some fun with your friends! However, they fill up quick so I recommend booking your spot ahead of time to avoid a long waiting list. I lived just around the corner from Bloor West and I ever remember having sandwiches on the other side of the street from Snakes&Lattes. Can’t believe I never actually went inside!